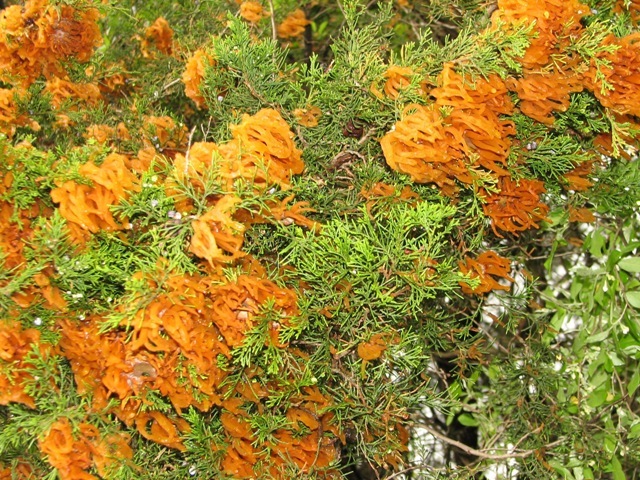 Every spring, the first time we get the right combination of temperature and rain, the eastern red cedars “bloom” with the spore producing structures of cedar-apple rust galls. YESTERDAY WAS THE DAY! 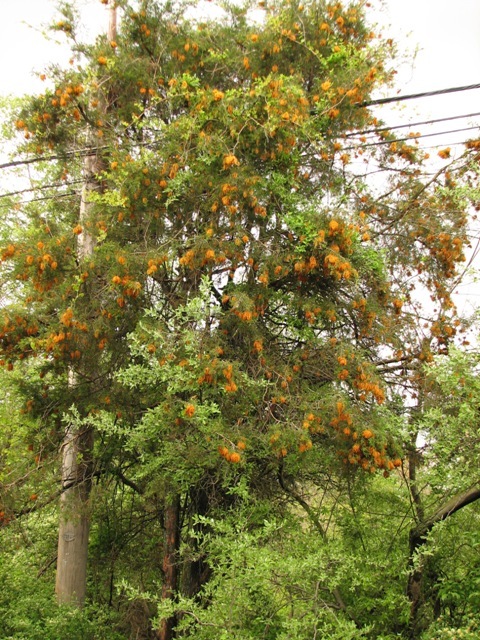 And this year, the phenomenon seems especially spectacular, with some trees that look like they are completely covered with fluorescent orange jelly. Not surprising, considering how the wet weather last summer caused severe infestations of the disease on the alternate host, apple trees, where the spores that infect the cedars originate. 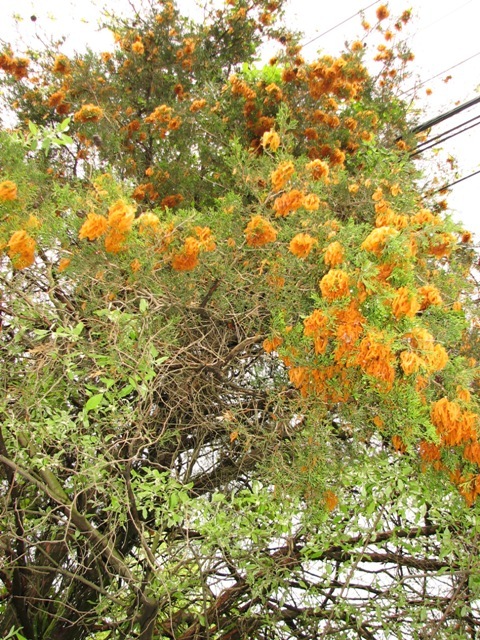 More explanation of the disease and photos of the apple trees can be found at July 15, 2009 article.